Holiday gift shopping takes effort – start making list, saving and scheduling to buy early to save time and money later. Last week we shared some resources to help you save on Halloween shopping (you might still be able to utilize them for the any last-minute Halloween preparations today!) Out of the Halloween context, many of these resources are still useful for the upcoming year-end holidays – Thanksgiving, Christmas and New Year’s. What will work? Utilizing technology to compare prices and search for deals, as well as buying alternatives from dollar stores or thrift stores. Unfortunately, unlike Halloween, last-minute shopping will not work for these other holidays, where you may need to do much more shopping in a short time crunch. 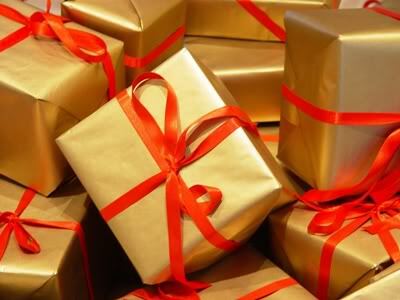 Moreover, shopping for the big three year-end holidays can take effort, especially with gift shopping. Clothes usually go on sale early, while toys’ prices drop right before Christmas. Tools and electronics have specific promotions that you might need to look for. Black Friday does not necessarily have the best deals. Don’t feel compelled to buy something as a gift simply because it is on sale, as it might not be what you mean to buy – another reason why it’s important to make a shopping list first. (Find more tips and resources we have written about here). What other tips do you have to save on holiday gift shopping? A shopping list is definitely help at holiday season. I always try to save more money in the 1 or 2 month before holiday shopping so it will help me with my budget. it is good to make a shopping listing too, so you know what you want to buy not just looking around missing the deals. It also stopping you from over spend. I found these tips to be extremely helpful for just about anyone. Having a shopping list and starting early are the two most important factors when it comes to holiday shopping, also keeping in mind your current budget. As a college student, it is very easy when shopping to want to spend on yourself, but you should always keep the task at hand and go by the list. Having your research done is also a very good idea so that you know where the best deals are located and to save yourself a ton of time and money. These are definitely some helpful tips regarding the holiday shopping season. It’s easy to get bogged down when trying to compare prices and finding the cheapest deals with all your gifts. “Utilizing technology” is definitely beneficial in doing this. Also, having a specific shopping list and setting out a budget before ever stepping foot in a store will help prevent over spending and over buying. These tips are especially helpful for college student. By planning now, you can have the money you need to give the gifts you friends and family will love. It will also allow you to end the holiday season with more money so that when New Years come up you can enjoy the next year with a little money in your pocket. Saving early will always benefit those who take advantage of the opportunity but I never considered pre-holiday saving until now. I think that these tips are very unique and accurate. Christmas is a very special time so finding the perfect gift is important. Black Fridday does not necessarily have the best deals. I found that statement stood out the most because people tend to think Black Friday has the best deals. Of course this is not exactly true.I enjoy shopping early in order to make sure I have the perfectgift and to be sure I covered everyone. As a student at LSU we are learning about budgets. This is a great way to get rid of stress and not worry about how you are going to get a gift for someone. Planing and having a list will help keep you on track and not purchace items you can not afford at the store. Shoping for the holidays does not need to put you off track of your bills and expences. Saving yourself time and stress is very important when shopping for the holidays. I found these tips to be very helpful when when Holiday shopping over the next few weeks. Last minute shopping is not always the best plan, it can cause you to overspend. I am hoping to be able to make a shopping list and find the best deals! I agree that having a shopping list is crucial to successful holiday shopping. It is important to stick to your list and avoid impulse purchases (especially purchases for yourself). I always do research and compare deals before I leave home. That way, I have a plan for exactly which stores I need to visit and what I need from each store. And I believe that starting to save early is a key to stress-free holiday shopping. I include saving for holiday shopping into my budget so it will not be a financial burden come time for the holidays.